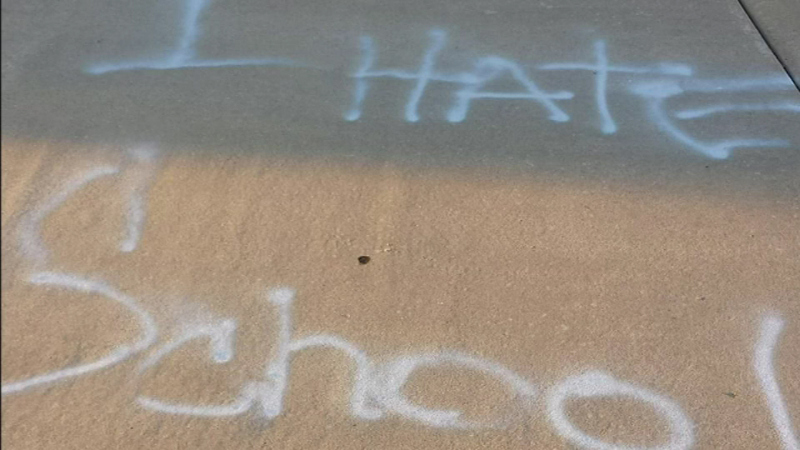 Aurora police are investigating graffiti near a Metea Valley High School. AURORA, Ill. (WLS) -- Police in Aurora are looking for the person who vandalized two different locations in and around a high school. Police say the vandal tagged several sections of sidewalk and fencing at Metea Valley High School on Tuesday night. They also believe the same person spray painted the side of a house about a block away from the school.